If you want a special wedding reception you should try to add to the colors of Papa´s confetti the choreographic pyramid made by Papa´s macarons. 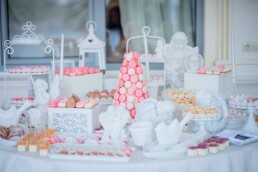 Macarons are rapidly becoming a trend of chic marriages not only because they are delicious but especially lovely and colored and for this reason they are the perfect choice to decorate the wedding buffet in an original way. In the end macarons are also perfect for the wedding cake both for the decoration and for the classical cake in the famous shape of pyramid. 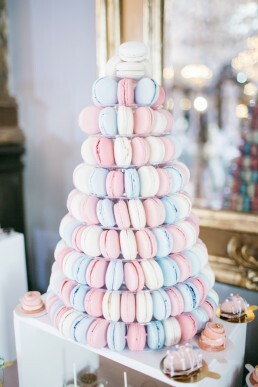 Macarons at wedding are a trend but also an ancient tradition. Think that Carerina De Medici brought this delectable sweet to French in occasion of her wedding buffet. 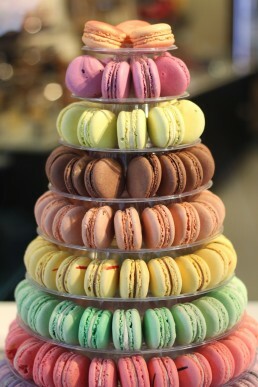 Tastes and colors of Papa´s Macarons.